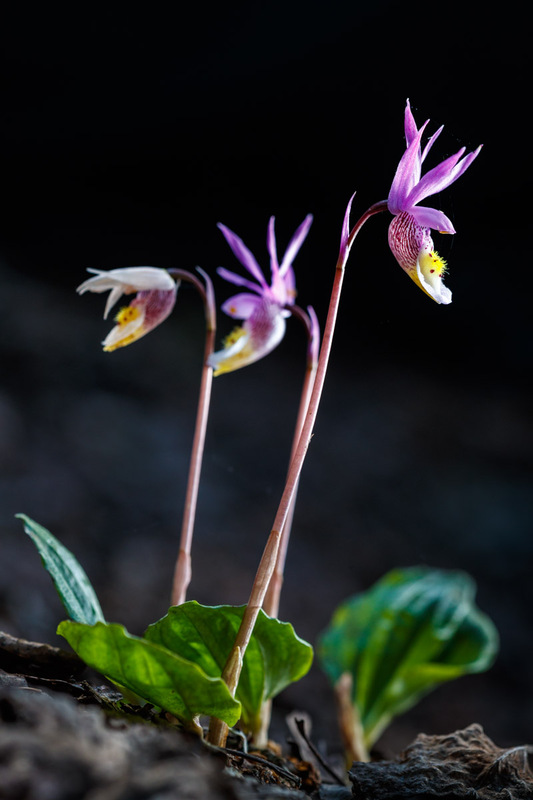 The most beautiful orchid in North America is Calypso bulbosa. 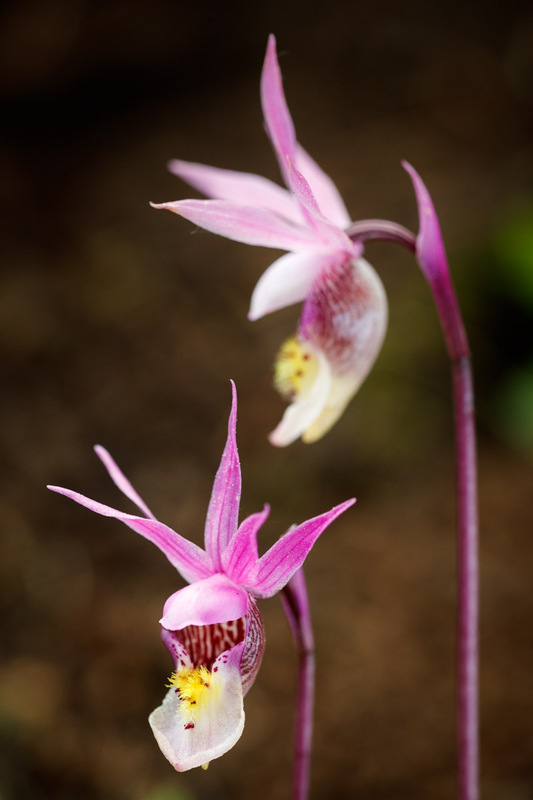 These Calypso orchids have a magical quality. I will get to that more in a minute. First I have to set up the story. Calypso is Greek for concealment, which is certainly an apt description. Although the Calypso’s explosive color and beauty would suggest that these orchids are easy to spot, the truth is otherwise. 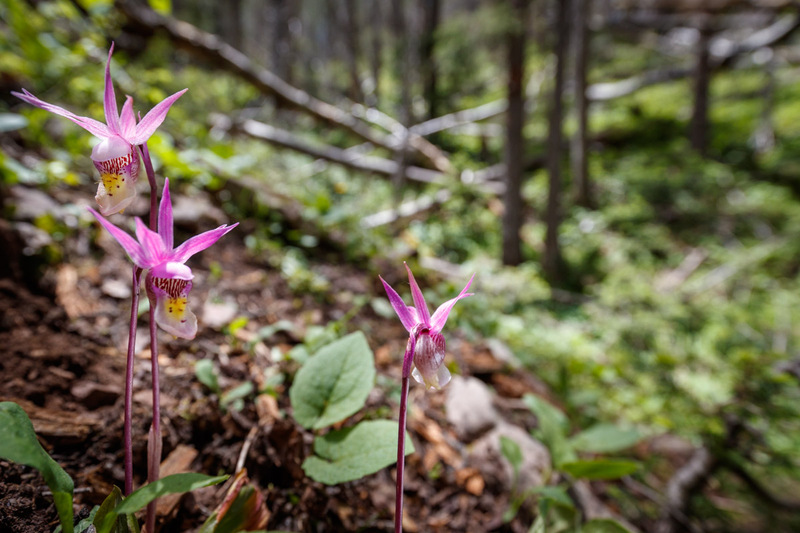 Calypso orchids are found in undisturbed northern mountain forests, often below conifers that tower above them in a protective embrace. 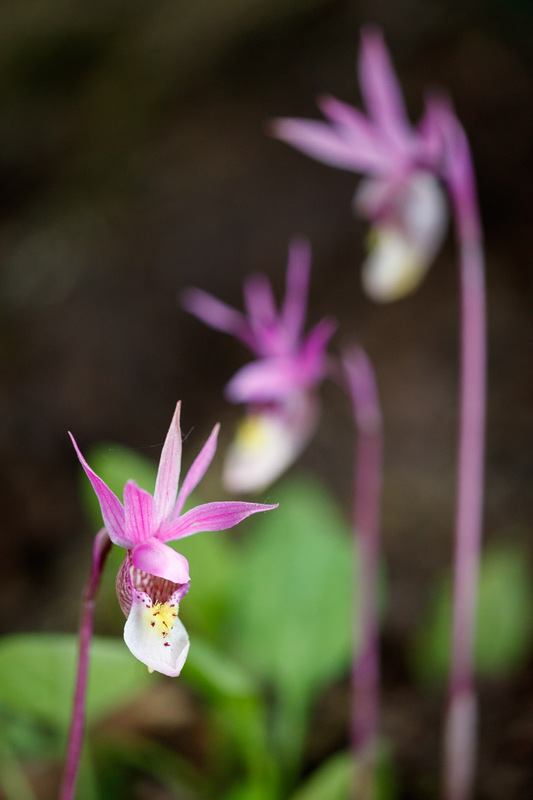 The diminutive Calypso rises less than 6 inches above the needles, twigs, dirt and moss decaying on the forest floor. Calypsos are found in a circumpolar band around the world and are now classified as threatened and endangered in many areas. 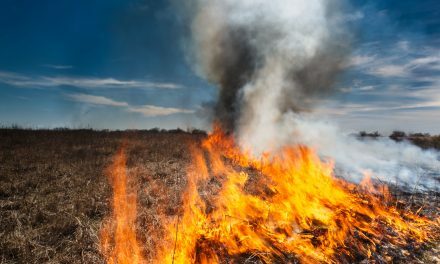 Their North American range includes Ted Turner’s Vermejo Park Ranch in New Mexico, where I am working on a long term photo project and lead photo workshops. 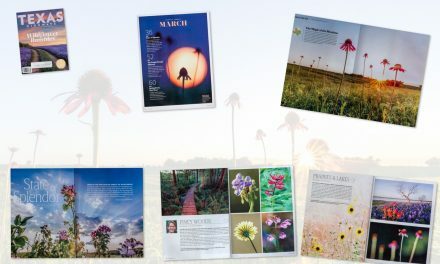 My friend (and master naturalist) James Reidy works at Vermejo and is the guide on our photo workshops. Working off a rough map left by a prior biological survey, James has tracked down a remote area where Calypsos live. We have tried for years to find them in bloom but we always seem to be a tad too late, just seeing a dried out bloom rising from a single stalk, with a lone leaf at the base. Several weeks ago I was in Vermejo for our annual “Babes and Blooms” workshop where we photograph wildlife babies and mountain wildflowers. After a long trek into high mountains of Vermejo we stopped at our Calypso spot to check. 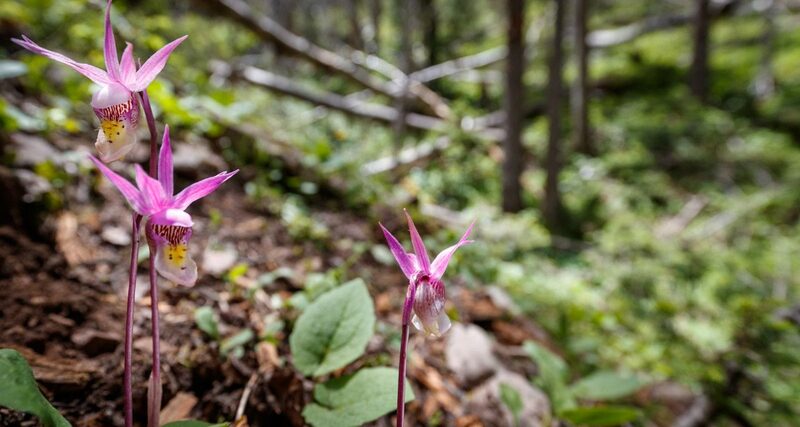 Maybe this would be our year to actually see a blooming Calypso at Vermejo? We stopped and James climbed through the forest understory to the spot where he knew one was located, but alas, it was too late. A single Calypso closest to the road had already bloomed and dried out. James had been there a few days before and knew there were other wildflowers nearby so one of our workshops participants, Becky Grimmer, went for a longer walkabout. Becky is an excellent naturalist in her own right and after awhile, she called to James to take a look at what she had found. 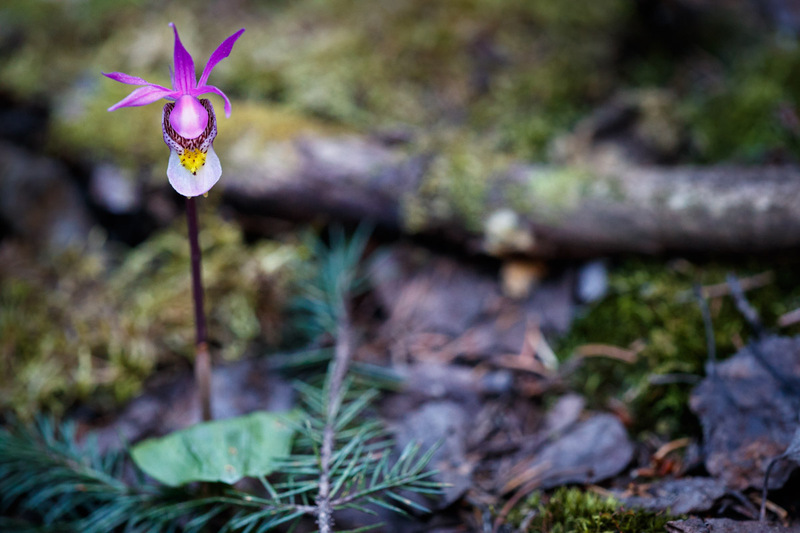 James came over to Becky and then filled the forest with a delighted whoop as he dropped to the ground to examine single Calypso in fabulously beautiful bloom. The Calypso was precariously perched against a hillside, making photography very difficult, but I did not care. We had finally seen one and that alone was thrilling. Now the game was on – what other Calypsos were there, right in front of us, waiting to be discovered? We looked around for a glimpse of the flowering Calypso’s telltale purple, yellow and white. 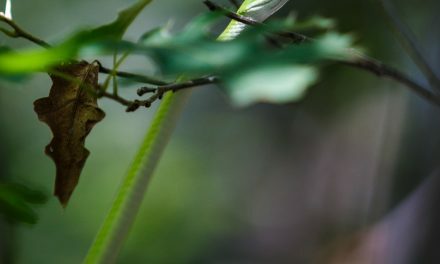 We moved more and more slowly through the leaves and twigs on the forest floor, barely remembering to breathe, our hearts beating faster with hope and anticipation. Slowly but surely, more Calypsos came into sight. We found three in a cluster we all had walked right past. Then another two and then three more. Now Calypsos were all we could see! Perhaps Calypsos are so well concealed that it takes careful observation to spot one. That is the rational explanation and likely the correct one. But a little part of me can’t help but wonder if they just decided to reveal themselves to us because we came to them with the right mix of respect and admiration. A World of Fairies, Nymphs and Sprites. 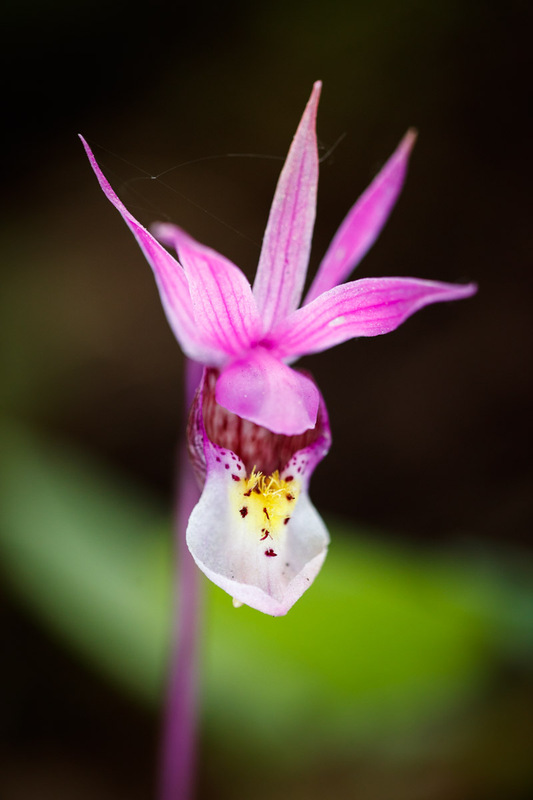 The Calypso orchid is commonly called the “fairy slipper”. “Calypso” is also the name of a nymph in Greek mythology. Whoever named this orchid had one foot in myth and magic, I believe, and I could see why when I dropped to the ground to see the Calypso at its level. What was just a tiny speck of color at standing height became a magical little world at eye level. Light dappled through the forest canopy in flitting streaks and blurs. The Calypsos danced and swayed above the forest floor in rhythm with a gentle breeze. The orchids were seemingly part of a deep-forest world of fairies, nymphs and sprites. How to Tell That Story with Photos? When I have a photographic subject like this, I like to think a bit like a story-teller, and a bit like a poet. How can I tell it’s story? And how does this subject and scene make me feel? It sounds goofy, but it does focus my mind on what images I want to capture. So I decided to get very low to better show this little world. And I used backlighting and soft focus to help make the images just a bit more magical, and a little less literal. After the workshop ended, I had an extra day before I had to head home so I returned to that little fairy world to photograph them some more. Unfortunately, the ones we had seen just two days before were already fading. I went on one last walk to see if I could spot any new blooms. Just before giving up, I found a cluster of three Calypsos clinging to the side of a hill above a high mountain creek. All three were in perfect bloom! I photographed the “big picture” story with a wide-angle lens at eye level with the Calypsos, and then zoomed in on the three as they danced on a mountain breeze. If I get another chance, I really want to set up a remote camera and capture a bumble bee pollinating the Calypso. I’d like to try photographing it at night under the twinkle of stars. My little sketch book is already full of these and a host of other ideas. But if I don’t get another chance, that is ok, too. For one little window in time I got to step into the magical world of the Calypso and for that I am thankful. Learn more about Vermejo Park Ranch and my photo workshops there. In autumn, a single dark green leaf sprouts from the corm, lasting through the winter. In spring or early summer, the flower blooms and the single leaf quickly fades. The flower possesses no nectar. It attracts pollinators like bumble bees by deception by mimicking flowers that do have nectar. The bees land on the lips of the flower looking for food, then enter the pouch. When they leave, they rub against the column overhang the pouch and pollen is deposited on the bee to be carried forward to another Calypso. After pollination, the Calypso flower fades rapidly. By late summer, the capsule ripens and the seeds are dispersed. The leaf withers and the plant is dormant until a new leaf is produced and the cycle starts again. Excellent! Great story and photos. Thanks. Thanks, Kathy! It was very cool. I need to find some Texas orchids to shoot, too. I don’t they I have ever done that here.